No matter, whether you are attached or single, one of the best ways to celebrate Valentine’s Day is with those you really love. For some people, this means celebrating the holiday with a beloved pet! If you decide to celebrate a day of love with a cat, dog, bird, rodent, reptile, or something else, check out some of the best ways to celebrate Valentine’s Day with your beloved pet. Okay, your pet won’t bring you chocolates and candies, but why not indulge a little with them? Find the nearest pet bakery and pick up some special treats for your pet. Then grab yourself a tasty dessert, bottle of wine, coffee, or something else you think is indulgent. While your beloved pet enjoys their treats, you enjoy yours! If you and your beloved pet regularly visit a pet supply store, a special park or other favorite places, why not think of taking a trip there? Go for a long walk with your active dog or go somewhere with your cat. Although this is a place you often visit with your pet, it can be an excellent way to celebrate Valentine’s Day. Valentine’s Day is quite stressful day for single people. If you are single, consider spending the evening at home with your beloved pet. Buy a new toy, watch your favorite movie, or whatever else you want to do. Your pet will be happy to see you at home! Another fun way to celebrate Valentine’s Day is to meet other pet lovers. If you have a social animal that feels good around other animals, why not find a group to meet with? There are a lot of websites dedicated to pet species, pet breeds, etc. Suggest a Valentine’s Day walk for those who are like you unattached. 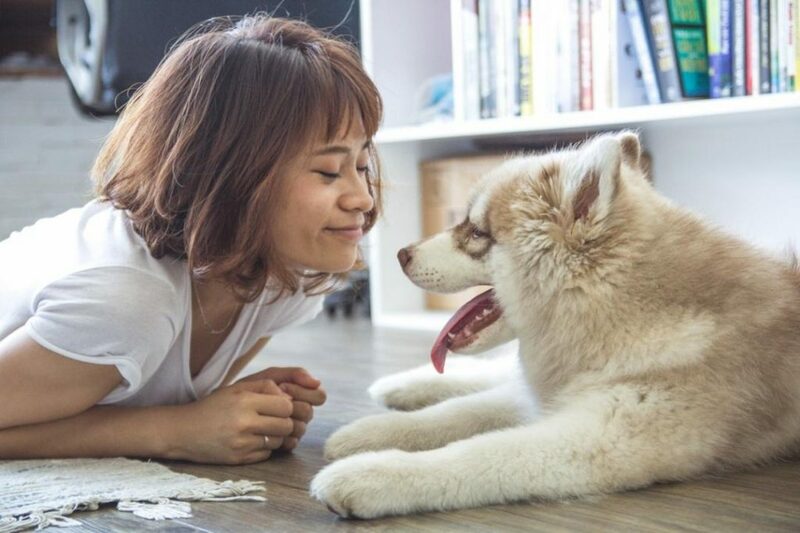 Perhaps the best thing about pets is that they are loyal and devoted to you and to your happiness, as opposed to those romantic partners in our lives. This Valentine’s Day celebrate your pet’s devotion just enjoying their company. Rub their ears, scratch their belly, play, etc. These are only a few of the best ways to celebrate Valentine’s Day with your beloved pet. Do you know some other ways? Share your thoughts, please!